By a show of virtual hands (maybe emojis), who here loves good tea time like I do? I bet it’s a bunch of beautiful ladies! I love tea time, because it’s such a treat and it is so relaxing. I love catching up with friends over a cup of tea and some light sandwiches and sweets. I think tea time enables such quality time with people. Nowadays, we are often to caught up with life, when do we ever unwind with the people around us? Well I’d count tea time as one of those times! For me, vacation is a bundle of excitement, relaxation, and spending quality time with the people I love. 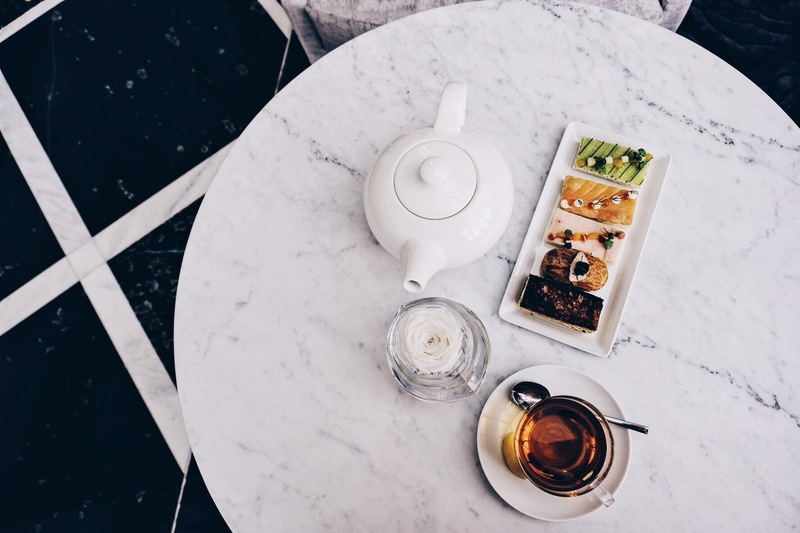 Tea time is one of my favorite to-do’s on vacation, because then I’ll get to sit down, relax, have some heart to heart chatting time, and try out new tea places. 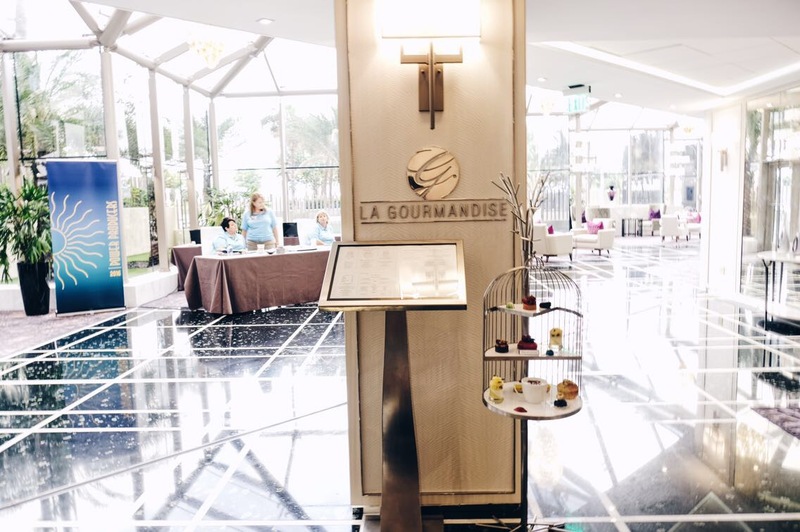 For my Miami Beach trip, I was lucky enough to have visited La Gourmandise at St. Regis Bal Harbor. Now, St. Regis is definitely one of my favorite chain hotels. 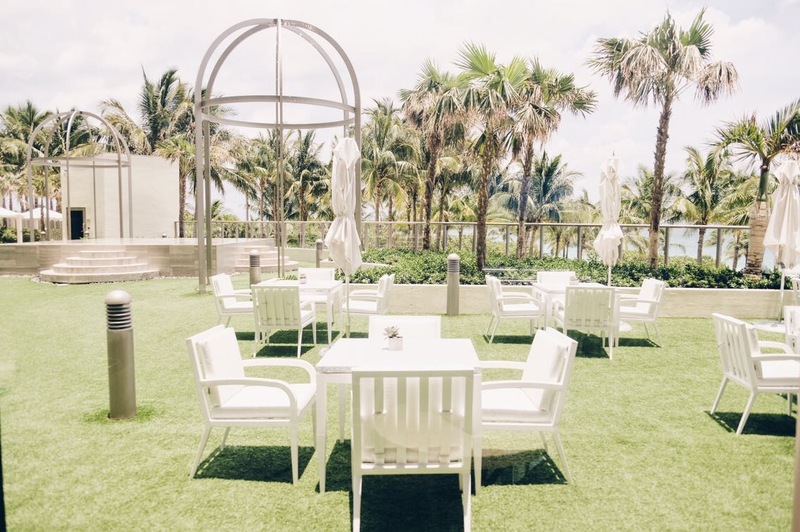 I have always loved the service and décor — the one at Bal Harbor was no different, and no doubt had spectacular service. The hotel is located a couple minutes walk away from the Bal Harbor Shops, one of the most high end luxury shopping centers (think Beverly Hills). It’s definitely fun to check out the shops there even if you can’t buy much, because the service is stellar and you get to look at everything pretty! Be prepared to be treated like royalty! The location of this La Gourmandise is also perfect, because it’s a great spot to relax at after walking around the Shops. It is situated in an open area lounge. 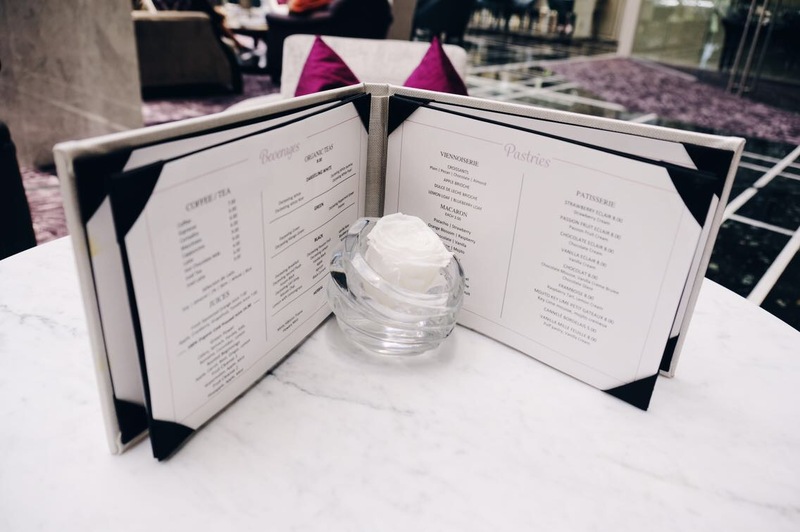 There is also a counter area, where an assortment of bon bons, eclairs, pastries, cakes, and macarons are displayed in a large glass case, so that guests can buy the delicacies to go. There is also an outdoor garden area of which guests can opt. to sit outside. That definitely sounds wonderful if the weather is nice. Almost like a garden picnic! Unfortunately, I hit mini-hurricane season during my visit, so the weather is very unpredictable with sporadic heavy rain storms throughout the day. Hence, I stayed indoors. I ordered the afternoon tea set, which featured the delicacies served on a handcrafted bird cage display, unique to St. Regis Bal Harbor. It was such a beautiful and elegant touch. The treats are beautifully lined like vibrant jewels and captured my heart at first sight. It’s definitely a remarkable experience and one that has to be experienced first hand. It is priced at $50 per person, plus tax, so it comes out to roughly $57 USD per person. I would not say it’s cheap, but the portion and experience does make up for it. It comes with one big pot of tea per person. 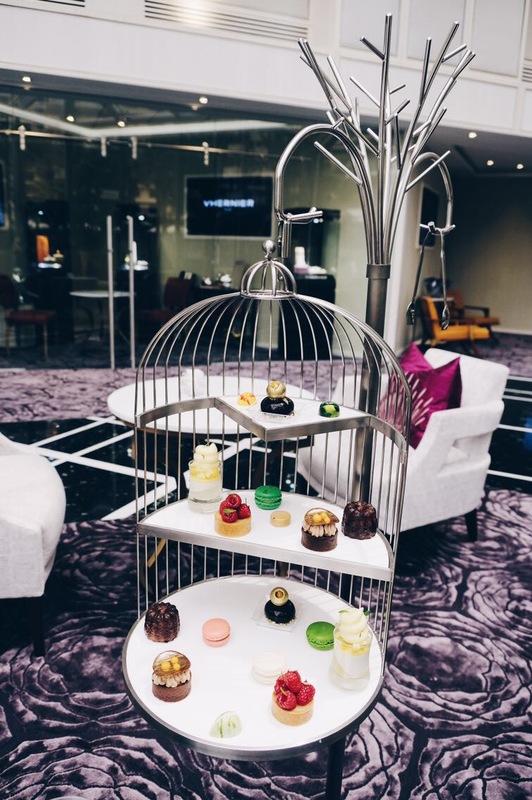 They offered chocolate raisins to start, followed by scones with cream and jam, then finger sandwiches, and then finally led to the beautiful bird cage adorned with bon bons, macarons, pastries, and more. The portions were huge and my friend and I got full before the bird cage even came. This was the case for two girls who did not eat breakfast and came to tea at 1pm as a brunch. I believe one order of the afternoon tea shared amongst the two of us would’ve been enough portion wise. However, the bird cage would probably look a bit lacking. We ended up taking most of what was on the bird cage to go. The staff helped us beautifully package it and I brought it home on my flight as a treat and souvenirs for my family. For the experience, I definitely thought the cost was worth it. I believe a standard tiered afternoon tea selection usually ranges from about $30-$45 on average, so the $50 price tag was not too far off. I definitely enjoyed my tea time at La Gourmandise. How about you? What do you think of it? Would you visit and take the plunge? Share your love for tea time with me if you’re also a lover of it! Best wishes! Next Post July 4th Fireworks Spots for New Yorkers! This is indeed a blogger’s dream come true! The setting and everything was so so perfect! I love tea so much my friends say I should have been born in London, lol. The lounge area looks like a fairytale and I would love to dig in those macaroni in the bird cage! Yes it is indeed. 3 cheers to the love of tea! After searching for a tea room, I came upon your post. This is just what I needed; thank you for sharing! I absolutely love tea and hope to try this tea room out soon. The menu looks absolutely fabulous ; do they also sell teacups and teapots I collect them ? Hi Kristy! Thanks for dropping by. I don’t think they sell teacups and teapots unfortunately. I would’ve loved to buy that beautiful handcrafted birdcage for myself too if I had the chance. But all the more, worth it to go and savor the moment! Yes! It’s a must visit if you’re going to be visiting Miami! <3 I hope you enjoy it as much as I did! The birdcage is such an elegant idea for a serving piece! I love tea and try to include it in every vacation I take. The open area lounge looks fantastic! Such a beautiful location! I am so jealous that I have never been here! What an amazing looking place to go for a meal, I love how they have displayed the food in the birdcage that is such an amazing touch. Yes. It makes for an enchanting experience. It’s unique to the St. Regis at Bal Harbor too! 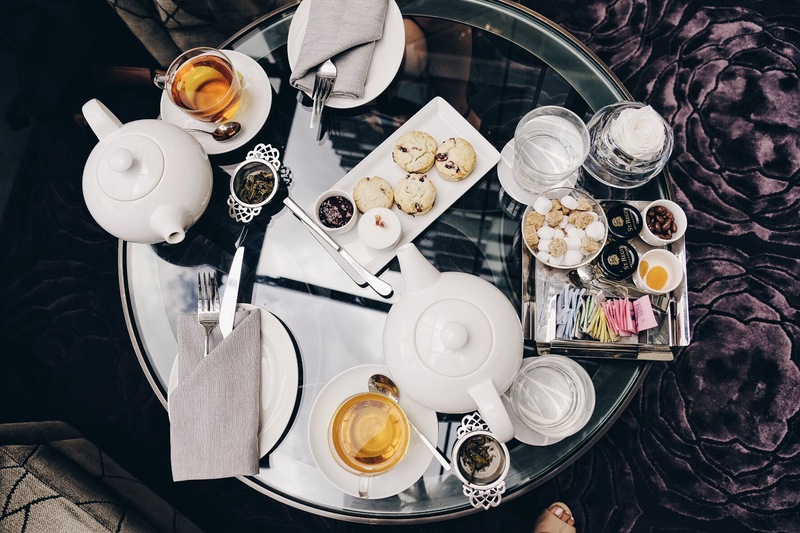 I would love to have tea at La Gourmandise – St. Regis Bal Harbor. What a super fun experience! The food display is cute. Oh my this looks amazing! I LOVE macarons so I was pretty excited to see them in one of the pictures. What girl wouldn’t love tea and small delicacies with friends?!? I know! It’s so perfect! They’re like the prettiest jewels! Your pictures look amazing. The outdoor seating looks beautiful. Yes. It’s like a fairytale setting! This looks like a wonderful area to be with friends. I love tea! And I’d be thrilled with that tray of goodies. So elegant. So decadent. So beautiful. Looks like you had a wonderful time. Yes! Enjoying good food is always a fabulous time! I am not sure what’s more enchanting. That outfit of yours or the desserts in that birdcage. Thank you for the sweet comment! I think the wonderful decor at St. Regis made for an enchanting experience through out! What a beautiful place! I love that garden looking style and the pretty details they added as accessories! Wow!! What a beauty spot..tea has been always refreshing in busy schedule. Such a fantastic place for afternoon tea! I need to go there! Oh you look so adorable and the place is so great! I need to try the tea there! This looks like such fun! 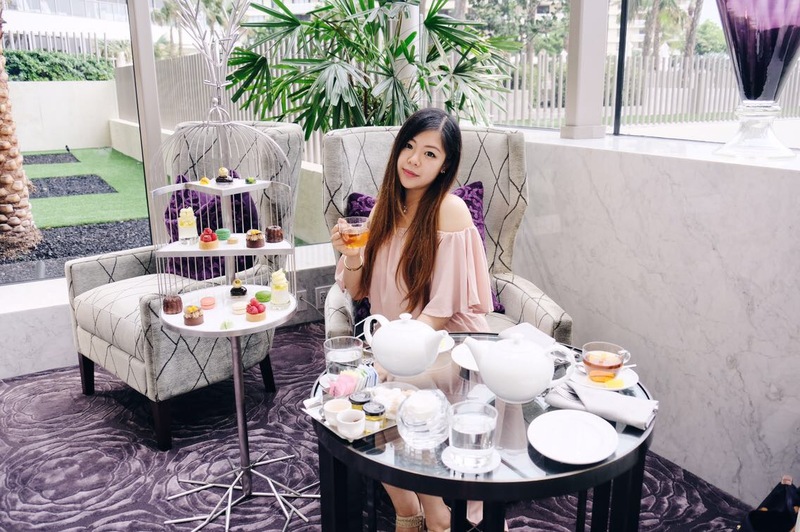 I love tea time, it’s really the only time I drink tea haha, and I love taking my Mom to afternoon teas like these, it’s a great bonding activity. This place is fabulous and I love the Bal Harbor area amazing. Such a cute experience and yes I agree, totally worth the price! Wow this looks so fancy and decadent. 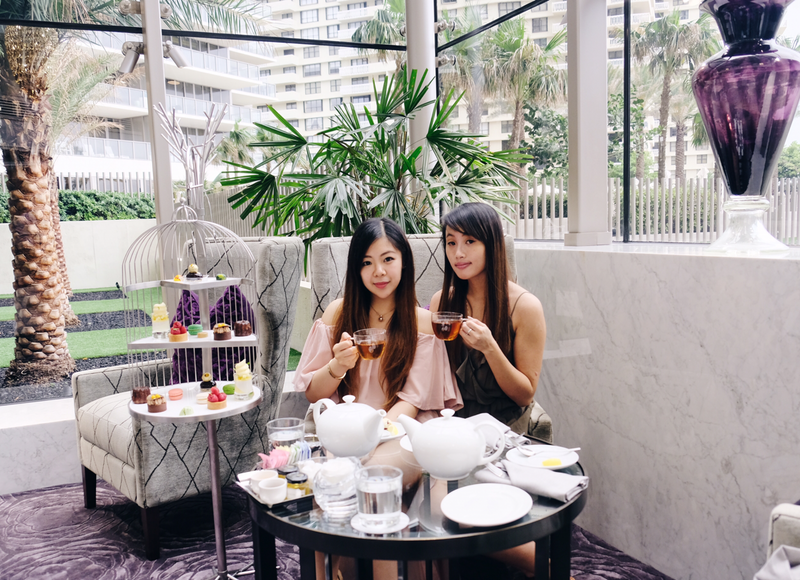 Afternoon tea is always a treat and finding a new and beautiful place to enjoy it with your friends is the best. Oh my, that place looks heavenly! Tea time by the crystal clear sea, definitely added to the bucket list! I’ve only ever been to a tea time once, but it was sooo fun! I love this tea time you went to, it looks amazing! I love all the little foods and this place is gorgeous! I love Afternoon tea, which is perfect as I live in London! La Gourmandise looks amazing though, definitely worth a visit. That looks like an awesome place for an afternoon tea. These treats though … I could eat all day! Oh my, St Regis is one of the hotels I wish to visit and spend a holiday. There is nothing more relaxing that having an afternoon tea with the girls, so opulent! Lovely place to sit with friends with nice afternoon tea. Great post. Could this location be any more perfect!? So cute. I could spend all afternoon there. Thanks so much for sharing, love. This is so gorgeous! I so want to go to tea time now! The fact that you were able to take all the treats in the birdcage home makes a huge difference on the overall cost. It was worth the afternoon! I love tea time, and this spot for tea is gorgeous. Those cakes and treats are beautiful. Fun! That place looks very relaxing. It is beautiful! This place looks so lovely! Yum the pastries made me very hungry… I might have to pick up some on my way home! Love this post and loved your pictures!